Mi Pueblito is a stellar Honduran restaurant. 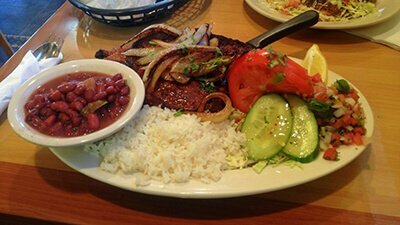 While you'll see Mexican classics like enchiladas and all sorts of burritos, you'll find great steaks and pork chops. However, the stuffed plantain appetizer is one of the most popular dishes, so make sure you split it with two. Seafood lovers can rejoice as well thanks to their amazing grilled shrimp. However, order a burrito if you're hungry, because the burritos they serve here are huge. For a bit of advice, go with the chorizo burrito for some spice in your life. The ambiance is very calm here. Between the indoor plants and the fish tank, it's a great place to stay for dessert (go with the flan). 3rd Rock is one of Kenner's most popular bars. 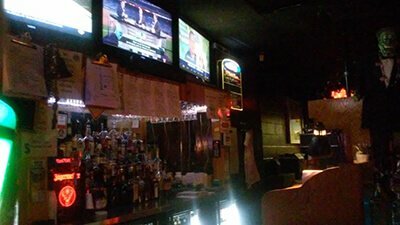 While it's a sports bar at heart, the dim lighting and interesting decor make it a bit more welcoming to non-sports fans. However, the drinks choices here are vast. From whiskeys like Jameson to a wide range of Stolichnaya vodkas, the bartenders can pour up a cocktail for nearly any palette. 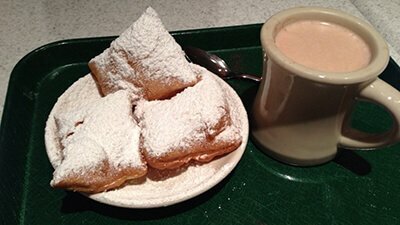 If you love a great French pastry with your morning coffee, make sure you give Cafe du Monde a shot. The pastries here are cooked fresh and absolutely covered in confectioner's sugar. The beignets (basically a turnover) are the crowd favorite, with some regulars only ordering those. But the coffee is the main attraction here, so make sure you order up the Chicory, a strong coffee with milk. Nola Desi is one of the best Indian restaurants in all of New Orleans. The dishes here are just as beautiful as they taste. 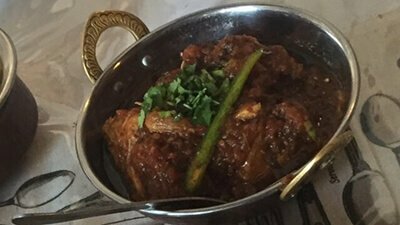 For a real work of art, go with the Goat Biryani, a wonderful mix of red and green peppers, an awesome curry sauce, and if you're a bit nervous about trying goat, this dish is a great place to start. However, they also have burgers, kabobs and a few vegetarian choices, so this restaurant is perfect for a mixed crowd. The ambiance is nothing special, but it definitely carries a hint of Indian style. 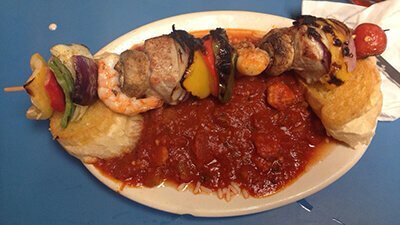 If you're looking for some great Louisiana cooking, Harbor Seafood serves quintessential bayou fare. For all out seafood enthusiasts, go with the seafood combo, a plate of four different choices. But the oysters are the main attraction at Harbor, so even if you grab an order to go, make sure you try them. There's more than seafood here — the burgers are cooked to perfection, and the chicken and sausage jambalaya is one of the best things on the menu. First off, you will not come across a better fajita than the ones at Don Jose's. 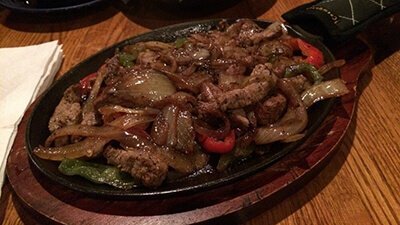 The chicken and steak fajita is out of this world. With just the right amount of spices and with the meat browned perfectly, this dish is worthy of awards. The Chile Relleno (stuffed chili) is another good choice, but if you're craving spicy food, go with the chipotle shrimp. Copyright © 2019 | www.NewOrleansLimousine.com | All Rights Reserved.